Kampung Baru is the last bastion against an overdeveloped KL City. With rich antiquated elements of a traditional Malay village, Kampung Baru has become a place for tourists to experience a slice of the traditional side of Malaysia. Here, you will feel as through the city has frozen in time with its many remnants of a village life, peppered with traditional Malaysia stilt-houses, occasionally still rearing chicken. This little enclave is also a food paradise, with a wide range of offerings from local Malay cuisines to Thai, Indonesia, Arabian and even Western food. 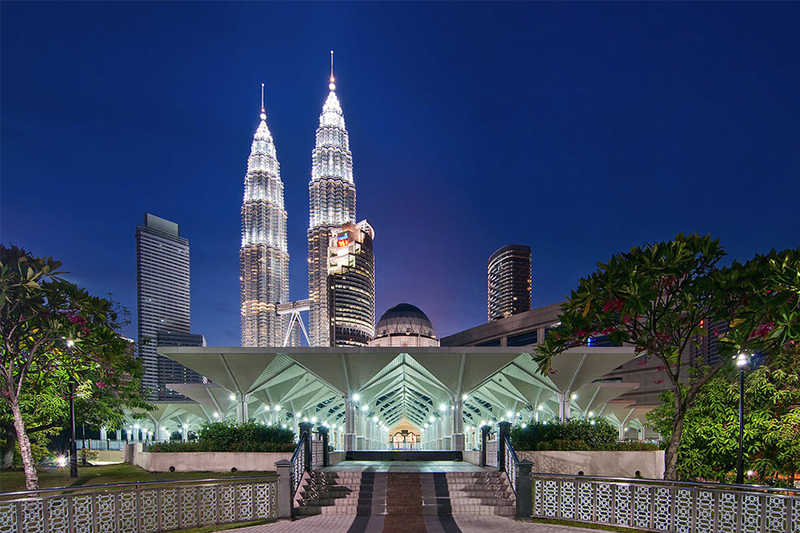 Just a stone’s throw away from the famed Petronas Twin Towers, getting around the city is easy at Kampung Baru with LRT stations within walking distance, and taxis readily available at the wave of a hand. 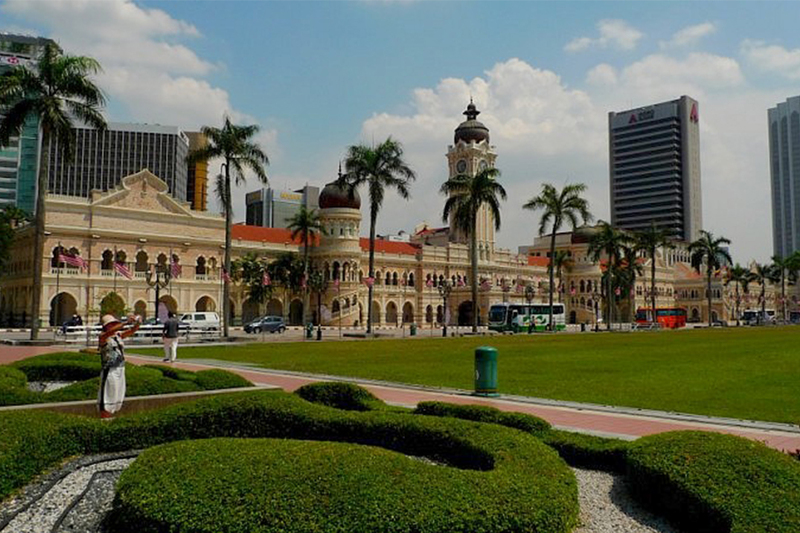 Dataran Merdeka or Independence Square is the location where the Malayan flag was first hoisted on the 31st of August, 1957 – marking the nation’s declaration of independence from the British Empire. Formerly a cricket playing ground for the members of the Royal Selangor Club that sits adjacent to the square, it is now a venue for many yearly events and acts as a symbol of freedom to all Malaysians. The square features a Victorian Fountain erected in 1897 to commemorate the Diamond Jubilee of Queen Victoria. This beautiful colonial building bears the syncretic stamp of the British Empire’s English/Indian roots with its Mughal-style domes effortlessly blended with British brickwork. The building originally housed the offices of the British colonial administration, and was known simply as Government Offices in its early years. In 1974, the building was turned into the nation’s superior courts, housing the Federal Court of Malaysia and Court of Appeals. Now housing the Ministry of Information, Communication and Culture of Malaysia, the building has a theatre features M.U.D, a play about the history of Kuala Lumpur, among many other attractions. 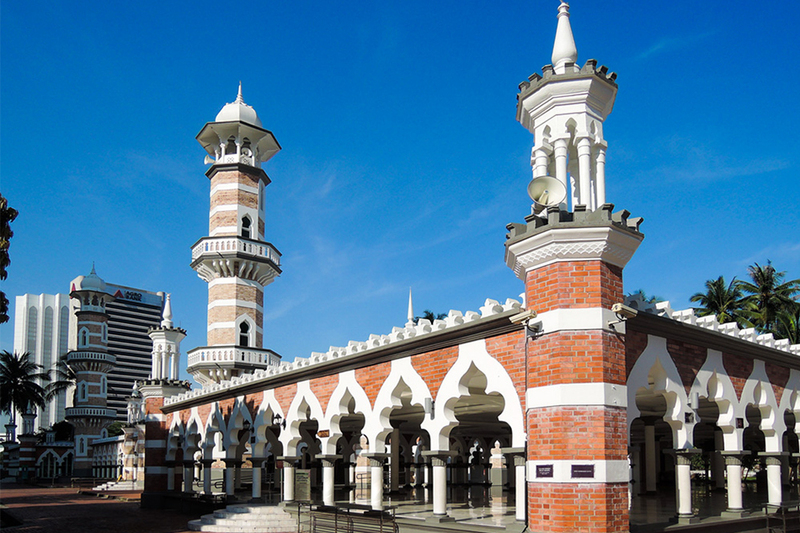 Masjid Jamek is Kuala Lumpur’s oldest mosque, officiated by the Sultan of Selangor in 1909. It features a unique architectural design that blends British brickwork with traditional Moorish-style mosques. 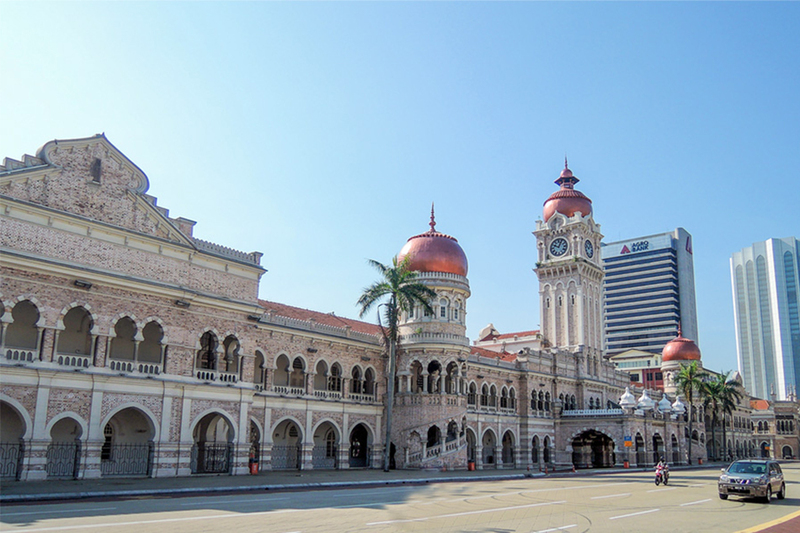 Situated at the meeting point of Sungai Klang and Sungai Gombak, it marks the founding location of Kuala Lumpur. 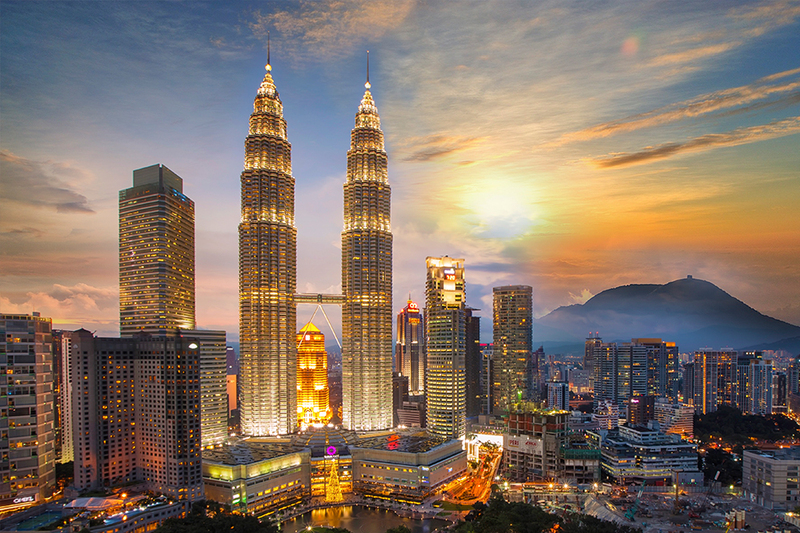 Kuala Lumpur City Center or KLCC is a luxury shopping complex located at the feet of Petronas Twin Towers. It is the home of Malaysia’s Philharmonic Orchestra and houses a state-of-the-art concert hall that holds yearly international music events. KLCC also has a scenic recreational park with musical fountains and walking paths, perfect for families visiting the area. Above Suria KLCC are the famed Petronas Twin Towers, a staggering 452-meter, 88 storey twin tower that was once the tallest building in the world. It opened its doors in 1997 and has since been the beacon of Malaysia’s race towards modernity. Travelers can get a ticket to visit the skybridge that links the two towers. 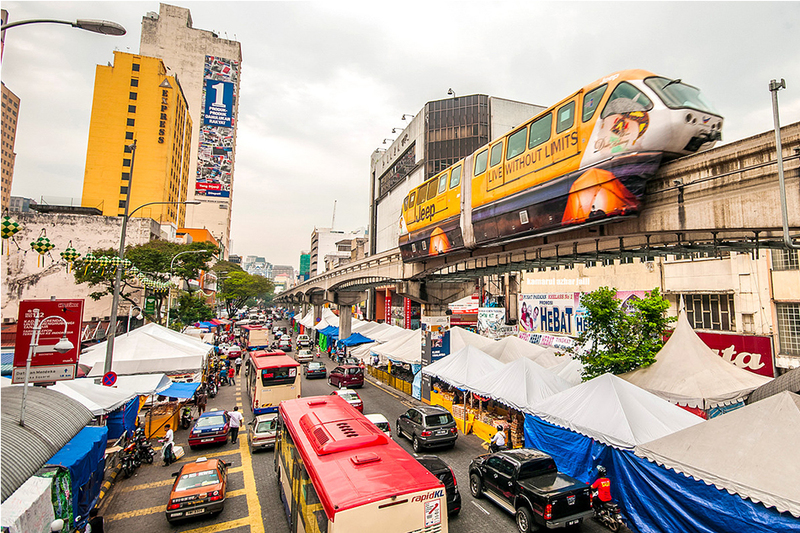 Chow Kit is one of Kuala Lumpur’s oldest sub-district and has recently seen a positive wave of facelifts and refurbishing, turning it into a charming tourist attraction. Rich in local culture and history, the Chow Kit Enclave grants many different accesses like the famed Pasar Raja Bot that offers affordable kitchenware, Bazar Baharu that offers meats and spices, and an array of thrift and wholesale stores. It is also the location of KL’s last Malay Village, Kampung Bahru, where you can find many food outlets that offer authentic Malay and Thai cuisine.